Vacation rental house. Sleeps 11, 4 bedrooms, 5 bathrooms. Dogs allowed. 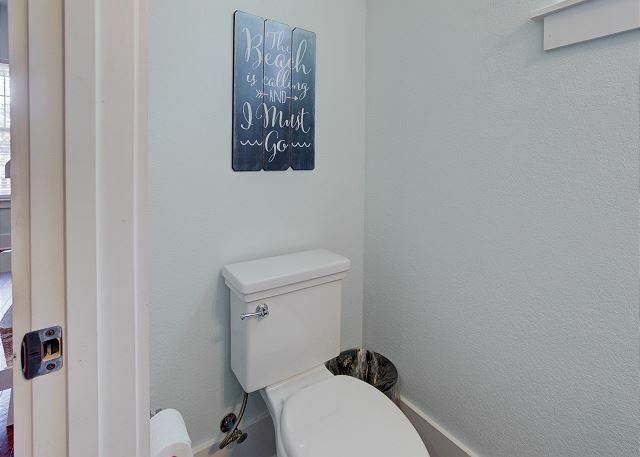 This home is only a short walk to the beach, roomy and pet friendly! The perfect place for your next vacation! Salty Kisses is a charming and cozy cottage set in a serene setting near beautiful Dune Allen Beach, which is only a short walk. It is also only a short walk to Oyster Lake, which has areas for fishing and crabbing. The home has a very private feel thanks to natural scenery and boasts enough room to sleep 11 people comfortably. This home features hard wood floors throughout and flat screen televisions in each bedroom. The décor blends in well with the calming atmosphere that envelops this home. The living room features a large flat screen tv as well as a sectional for watching tv, lounging or simply relaxing. It is the perfect place to be after a long day of exploring. The kitchen contains stainless steel appliances, dark walnut cabinets as well as a bar area for entertaining/dining. You will find a kitchen fully stocked with everything you will need to enjoy your vacation: a large fridge, range, microwave, dishwasher, a standard coffee maker as well as a Keurig. There is also a laundry area off from the kitchen with a front load washer and dryer. 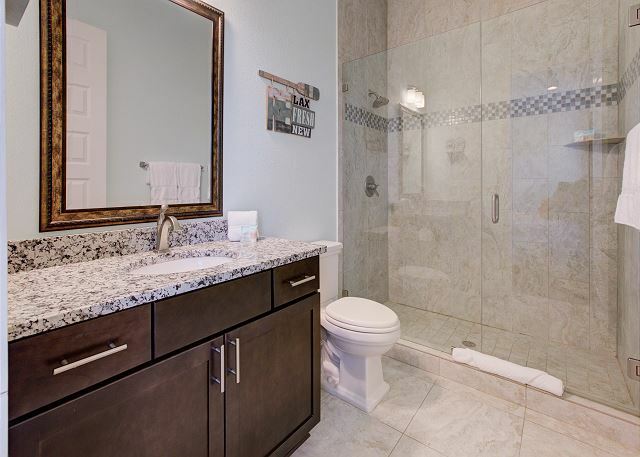 The main floor of the home features two Master King bedrooms both with walk in showers. The second floor features a Queen bedroom with a shower/tub and also the bunk room which has two sets of twin over twin bunk beds in addition to a twin trundle bed. 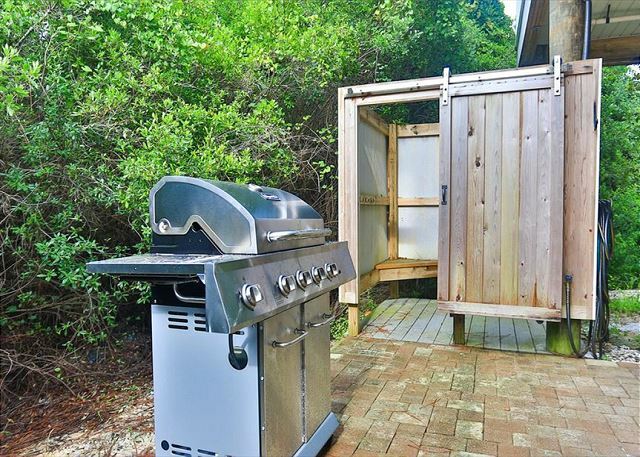 The exterior of the home includes a stainless steel grill as well as an outdoor shower for washing off after a day at the nearby beach. • 1st Master Suite: (1) King Bed w/ walk in shower. • 2nd Master Suite: (1) King Bed w/walk in shower.